Ah, Berlin - where do I start! A city with such a vibe and energy, uniquely rich culture and history - one of my favourite places in Europe. I'd love to chat about all the crazy things I've done there (although some I'll never mention) but this post is focused on Lexicum's 2nd place at the StartupWeekend FIWARE edition and the background about FIWARE and EuropeanPioneers. I believe I don't need to explain in detail why Berlin is one of the best places in Europe to launch a startup - in fact, we considered it as a possible location for Lexicum when we were starting the company, as I've previously explained in my interview with EdTech times. Luckily, we crossed paths with Berlin once again last weekend and will hopefully continue to do so in the future - but more on this later, let's provide some background first. Anyone who's been around me lately can attest how excited I've been about FI-PPP (Future Internet Public-Private Partnership) and FIWARE. This is an intriguing EU initiative aiming to lead the way in which open technology will revolutionize the world around us and improve our well-being in inconceivable new ways - and it's not just on words, there is 80 million euros funding for innovative projects in various areas and dozens of application building blocks (enablers, in FIWARE lingo) to help developers lift apps off the ground quickly. Stimulating an innovative economy with grants and tools is nothing new - but the way it's being done is quite different than other EU programmes we've dealt with in the past. It's a public-private partnership, which in this case means that the EC is funding consortiums of private companies, which not only deal with the applications and award the grants but also run accelerators, with mentors and all. Before FI-PPP the realm of EU-funded projects was quite foreign to the typical startup founders who are used to dealing with slide decks rather than lengthy business plans but this is changing fast - can you imagine, you can now apply for EU funding on f6s! This brings us to Berlin again. One of the 16 accelerators distributing the FI-PPP funding is EuropeanPioneers and apart from offering a fantastic support package including up to 250,000 EUR funding with no equity stake they also organized a FI-WARE tech training camp and a hackathon - and not just any hackathon but a StartupWeekend edition! For the unacquainted, StartupWeekend is a global event that goes from city to city, unleashing the untamed creativity of innovators, having them form teams and launch a startup over a single weekend. Sounds impossible? Go find an edition near you and see for yourself - the energy discharge at these events just boggles the mind. 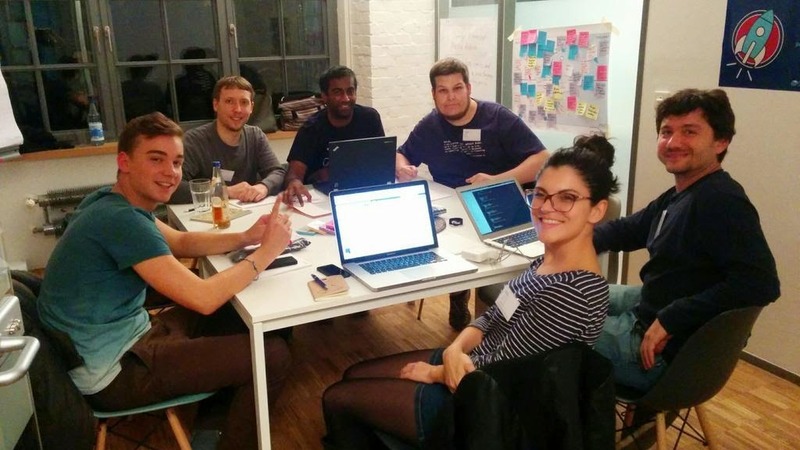 However, last week's edition was no ordinary StartupWeekend hackathon, for two reasons. 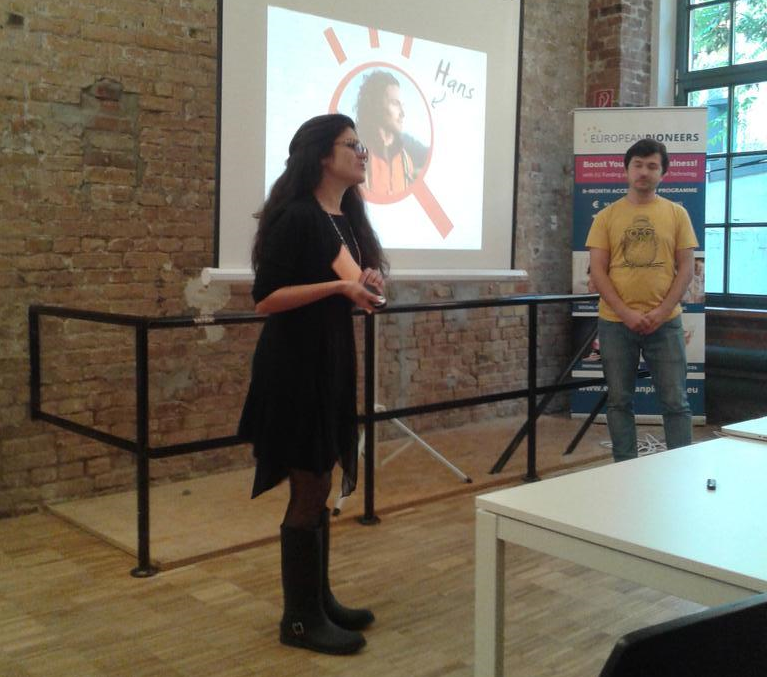 First, it was focused on smart cities and FIWARE - participants had to use one of the FIWARE APIs in their solutions. Second, this was the only one where the Lexicum team took part! Along with a few other guest members our guys worked on a project called Lexplore - a smart city guide of sorts, helping you explore a city and learn new words on the way, filling your lexicon with relevant words as you visit places. The judges recognized the app's potential and rewarded the team's hard work with a 2nd place! This award is a great motivation to keep working on the concept and incorporate it in the Lexicum platform. Needless to say, we'll see this happen much sooner if they give us some of this sweet equity-free cash!